Breaking up with your boyfriend can be one of the hardest things you have to do. A break-up should be considered an ultimate form of confrontation, and many of us do not do well in that area. Keep in mind there are many different routes you can take to break up with your boyfriend, but if you want what's best for the two of you, be mature about it. 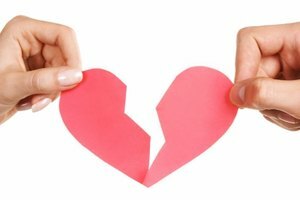 This guide will help you break up with your boyfriend sensibly and smoothly. Think it over. Weigh the pros and cons of the situation. When you come face to face with your boyfriend, you need to be prepared for what you are going to say to him. Consider his reaction to the news and what he might say. Meet with your boyfriend in person. Make sure the location where the break-up is going to take place is in a comfortable setting for the both of you. This will ease nerves and help make it easier to talk. Let your boyfriend know you have something important to say once you meet. Make it clear that he needs to listen. State your opinion on why you want to break up. This is the most important step. Your boyfriend needs to hear very clearly why you want to break up with him. Speak in well-thought out sentences. You need to show that you know exactly what you want so he won't doubt your thinking. Ask how he feels about the situation. Keep an open mind to his opinions, but don't lose sight of your own argument. Even though you are breaking up with him, his opinion still counts. Hold your ground. Once you have broken up, never go back to that relationship. Remember, you broke up with your boyfriend for a reason, so don't forget it. Don't be convinced that your boyfriend has changed in such a short period of time, because chances are, he hasn't. Always break up with your boyfriend in person, never over the phone or through instant messenger. Don't lie about why you want to break up with him. Honesty is still the best policy. Remain calm and composed; don't make things worse than they already are. Try not to blame each other; it could lead to a fight. Never break up with an abusive boyfriend in person. In this case, avoid contact with him for the break-up. Have a friend tell him, send an e-mail, or if you must, call him on the phone.